Summary: The world is about to enter an age of darkness, and emissaries from an ancient civilization are sent to bring enlightenment and enrichment to people of the future through reincarnation. In One Great Year, soul mates Marcus and Theron are picked to be emissaries, but Marcus takes a potion that will not allow him to forget any of his past lives and goes through thousands of years of loneliness with few moments of happiness as he finds Theron’s soul. However, he also must contend with an evil force and his nemesis Helghul, who wants Theron for himself. Review: Taking people from throughout history and making them your own could be difficult. 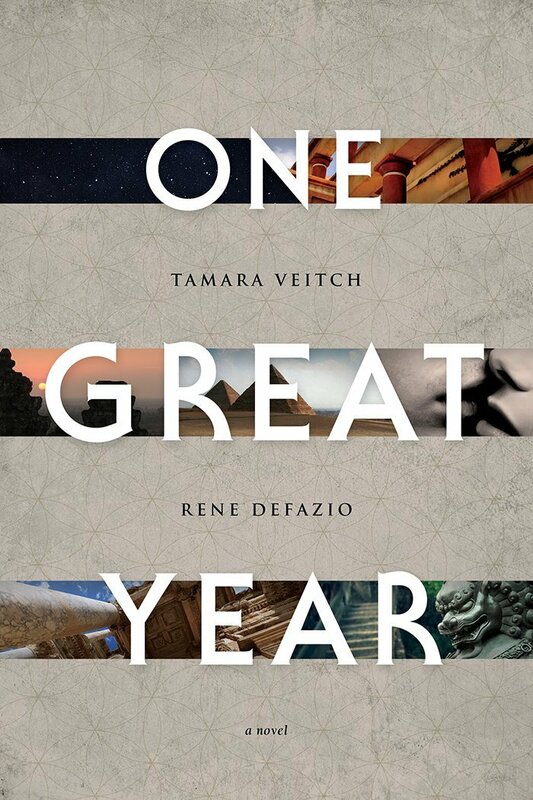 One Great Year did it in a smart way and really gave life to characters from Ancient Egypt through the modern day. The idea of reincarnation and that we are destined to meet the same souls over the course of different lifetimes is very intriguing. Really, it was a beautiful concept. That’s where the disappointment comes in. Because of the wonderful premise and interesting plot, I had hoped the writing would have been better. However, One Great Year took too long to get through and sometimes felt like a chore to read. There can be such a thing as over-writing, and that is the case here. Having said that, I wanted to finish One Great Year. I found myself involved in the characters, but only after they began to reincarnate. The initial love story wasn’t compelling. Rather than feeling like this was a pair of lovers destined to find each other through the centuries, they felt like two teenagers who couldn’t understand the world from outside of their little bubble. Those who are intrigued by reincarnation and philosophy may find this book interesting.